Ward 5 Alderman Patrick Miller confirmed his resignation from the Starkville Board of Aldermen Monday, effective immediately. He will leave Starkville after receiving a job offer as director of advancement at St. Patrick Catholic High School in Biloxi. 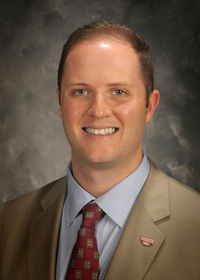 Miller, who was still in his first time, has served on the board since winning the seat in the 2017. Starkville Mayor Lynn Spruill said Miller's seat would be filled using a special election. For the time being, the Board of Aldermen will function with six aldermen.